TS EAMCET Result 2015: EAMCET(Engineering Agricultural medicine common entrance examination) is all set to release the result at the official website on May 28, 2015. As soon as they have released the answer key for the EAMCET candidates are very excited to know about their rank in order to get a seat in good college. The candidates who have appeared in the EAMCET 2015 examination are informed that the TS EAMCET results 2015 will be available in the official website of the TS EAMCET 2015 on May 28th 2015. EAMCET is a very good platform to make everyone go to the higher position its the main exam for many people. Engineering Agriculture and Medicine Common Entrance Test is conducted by JNTU Hyderabad on behalf of TSCHE. This examination is the gateway for entry into various professional courses offered in Government / Private Colleges in Telangana. More than 4 Lakh students will appear for EAMCET 2015. The EAMCET rank will be based on the IPE weightage and EAMCET weightage. The ranks will be awarded by considering the marks in both aspects. The student who got maximum marks in both IPE and EAMCET will get good rank. If the student got maximum marks in EAMCET and got less marks in Inter then it shows effect on his rank. The TS EAMCET 2015 results will decide the fate of the students. 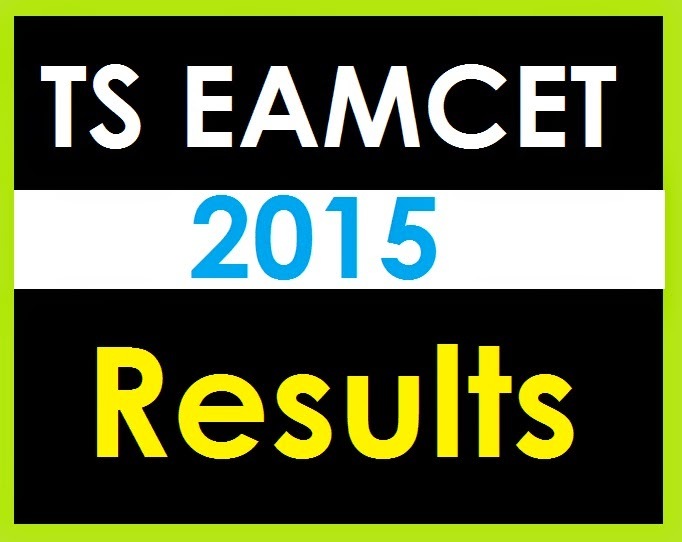 The EAMCET 2015 ranks will be available with in a few days. The IPE board has given priority to both inter marks and EAMCET marks. The IPE marks weightage is 25% and EAMCET marks weightage is 75%. This means the students should get maximum marks in both intermediate as well as EAMCET. Based up on the two scores the EAMCET marks will be announced. The students should keep that in mind before counting their marks in EAMCET. EAMCET 2015 Ranks will be calculated with 25 per cent weightage of marks secured in the Intermediate Examinations and not the advanced supplementary exams. So, All the candidates who have appeared in the TS EAMCET 2015 Examination are soon going to get the results on May 28, 2015. Keep visiting this page for regular updates on TS EAMCET 2015 Results..